Located less than an hour's drive from Amman, the capital of Jordan, is Dead Sea, the earth's lowest surface on dry land. Dead Sea is well known as one of the saltiest sea, about 9 times saltier than the ocean. This condition means that there're no animals living in the sea, thus the "Dead Sea" name. From religious points of view, Muslims believe that Prophet Lut (peace be upon him) lived in a land not far from Dead Sea (although the actual place has been noted to be quite far from Sweimeh area, where most hotels/ resorts are located). Christians believe that King David - Prophet Dawood (peace be upon him) to Muslims - once took a refuge in an area near here too. This more-than-10-year-old signboard shows that Dead Sea is 390m below sea level. Today however it is more than 420m below sea level. The location of the signboard is actually at sea level (0m above sea level). It takes about another 18km drive further down the valley from this point before reaching Dead Sea. Arrived at the hotel just in time for the sunset. This was the view from the hotel compound. The town/city seen in the photo is the West Bank. Morning view from the room balcony, overlooking Dead Sea and West Bank. 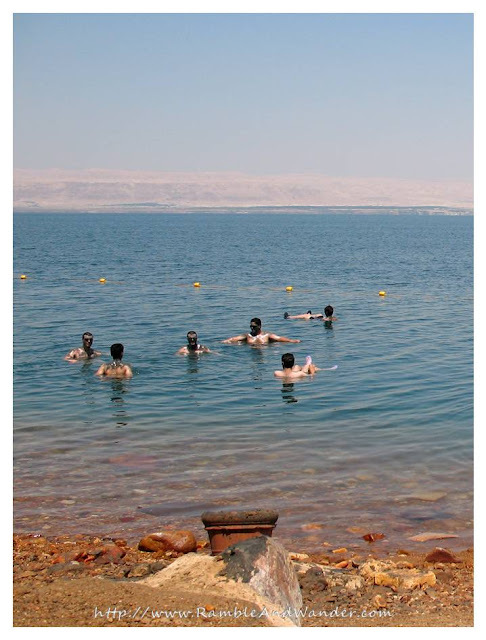 It is believed that the mud of the Dead Sea, like shown above, has special healing and cosmetic uses. Its salt and minerals have also been used to create cosmetics and herbal products, and it's turning into a small industry for Jordan. Tourists will find plenty of shops offering such products. Spas in hotels in the Sweimeh area also offer a variety of packages using Dead Sea products. The mud shown in the picture above however is collected and left for use by the sunbathers and "floaters" at the hotel beach. I stayed at Jordan Valley Marriott Resort & Spa in Sweimeh area in Jordan during this trip. 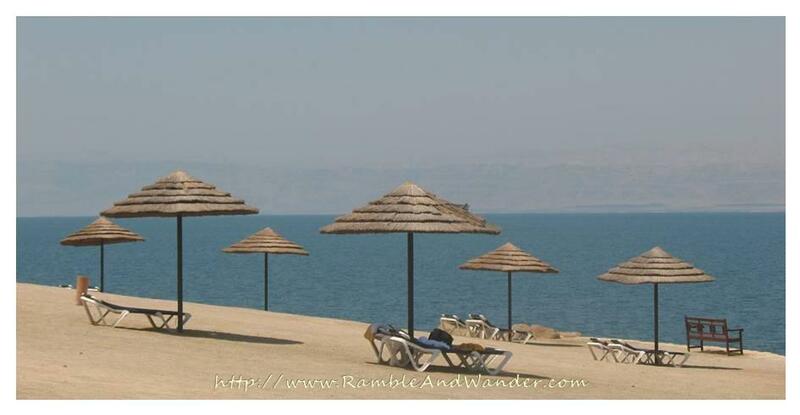 I had also stayed at Holiday Inn Resort, Dead Sea during a second visit to Dead Sea a few months after this first trip. 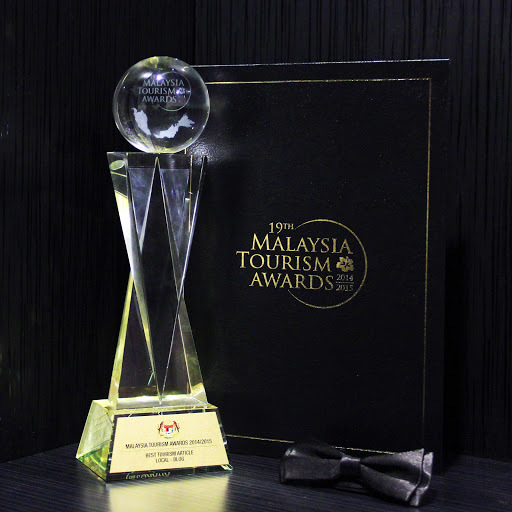 Would not hesitate recommending both hotels although for that a little extra luxury, the Marriott would take the first spot. ....the one floating the furthest? ?